Hold Your Breath (Something Beautiful May Happen) is a new text based artwork by Tom Ireland made specifically for the Central Drive Culture Shops project., a partnership between Blackpool Council’s Arts Service and Neighbourhoods Services, The Big Local Revoe-lution and CVS to bring three new rounds of artists displaying work over the spring / summer 2013. The work centres around an interaction between image; a satellite image of the Apollo 11 landing site on the moon’s surface and text: a sentence composed by Ireland and is presented to the audience as a window vinyl designed to echo commercial window graphics. This sentence is based around an exchange between the first man to walk on the moon Neil Armstrong and the NASA control room in Houston, Texas during the descent phase of the moon landing in July 1969. In the exchange Armstrong calls out “Houston, this is Tranquillity Base; the Eagle has landed” to which the NASA controller responds “Copy. Tranquillity Base. We can start breathing again. There’s a bunch of guys down here about to turn blue”. For Hold Your Breath (Something Beautiful May Happen) this exchange is paraphrased and un-bracketing from context, allowing for transcendence to act upon meaning, enabling the words to adopt a wider utopian position concentrating on Central Drive and the immediate community. The sentence within this new context offers a sense of possibility for the local community designed to establish a conceptual distance from the banalities and realities of the present. The sentence is deliberately open ended so as to allow for the audience who encounter the work to project their own ideas about what could happen establishing a space in which a range of scenarios for possible futures may occur. 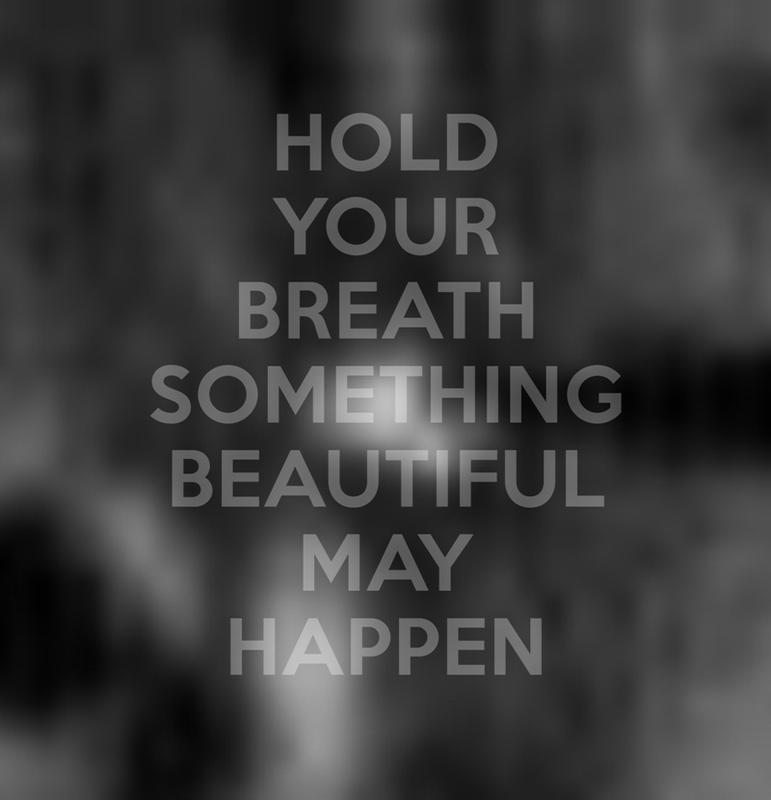 Hold Your Breath (Something Beautiful May Happen) will be exhibited at 77-81 Central Drive until Tuesday 14 May. For further information about Tom Ireland’s work see http://www.tomirelahdhq.org.uk.